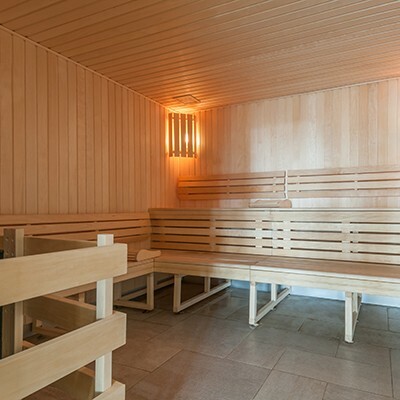 Enjoy a bubble of wellness in the warm and cosy atmosphere of the mountain chalets in Les Terrasses d'Hélios Pierre & Vacances Premium Residence, in Flaine. With its outside heated pool with views over the mountains, you will certainly enjoy all the benefits of the fresh air... Why not extend the experience inside at the Deep Nature spa with its sauna, hammam, sensory showers and herbal tea lounge, along with the fitness room to keep in shape during your holidays in summer or winter. Deep Nature offers you a shared moment of complicity with its signature Immersion massage for two, providing deep relaxation, or the more invigorating Oxygen signature massage, to prepare or relax the muscles. 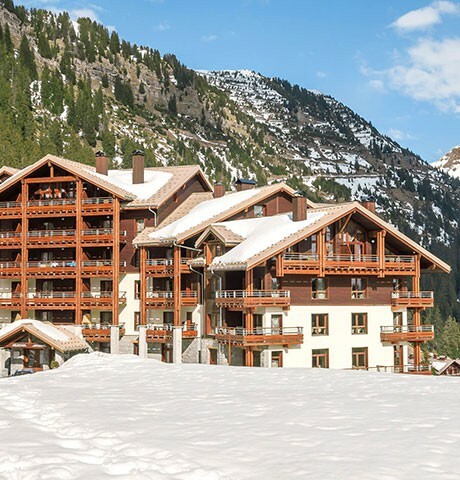 The Terrasses d'Hélios "ski-in/ski-out" premium residence is set in the heart of the Grand Massif. The residence is composed of two traditional chalets with a contemporary twist. Its privileged location offers exceptional lights throughout the day. The spacious apartments with large windows open over the wonderful natural surroundings.